Targeted Cancer Drugs Keep Myeloma Patients Up And Running : Shots - Health News Thanks to drugs recently approved by the FDA, patients with the blood cell cancer multiple myeloma are living longer and without the pain. Don Wright was diagnosed 10 years ago and is currently training for his 71st marathon. That was at the beginning of a revolution in treating this once-fearsome blood cell cancer, which strikes around 20,000 Americans every year. The malignancy can literally eat holes in victims' bones, which can snap from the simple act of bending over to pick up a package. The first treatment Wright had was thalidomide, the sedative that caused awful birth defects in the 1960s. But it didn't work for long. Then he got into a study of a related drug called pomalidomide. Earlier this month the Food and Drug Administration approved the drug, which will be marketed as Pomalyst. Not only has the drug kept the Minnesota man alive far beyond the three or four years typical for newly diagnosed myeloma patients not so long ago. But it's also enabled him to keep running marathons. In the decade since his diagnosis, Wright has averaged seven marathons a year. He's training for his 71st, which will take place in March on Cape Cod. "Yesterday I ran 18 miles inside of a soccer dome," Wright said recently, "and then came back and shoveled snow for 2 1/2 hours. That was a big day." Wright was one of the first patients to get Pomalyst, back in 2006. "For me this has been a miracle drug," he tells Shots. "It's kept the myeloma stable. And it's just a little pill." Pomalyst is the latest of a half-dozen myeloma drugs developed in the decade or so since Wright got diagnosed. Another, called Kyprolis, won FDA approval last summer. Like many so-called "targeted" cancer therapies coming out these days, the new drugs are enormously expensive. Pomalyst will cost about $10,450 a month, or more than $125,000 a year. Dr. Brian Durie of the International Myeloma Foundation says the availability of these new drugs has been transformative. "It really has changed the whole landscape for both the doctor and the patient," he says. "Ten or 15 years ago, it was very depressing to see a new myeloma patient because you knew that the life was potentially short and it was difficult to be overly optimistic about what might transpire." Wright is among the 20 to 30 percent of patients who have a less aggressive type of myeloma. But Durie says virtually all patients are benefiting from the new treatment options. "We can say that 95 to 98 percent of the time we can pretty much guarantee we have a treatment that works — that the patient will go into a remission," Durie says. That's pretty remarkable. But it's not a cure. Eventually the first drug regimen — whatever it is — stops working and the cancer comes back. But researchers think they're on the verge of blocking myeloma's return for good. "We're close, close, close," says Dr. Ken Anderson of the Dana-Farber Cancer Institute in Boston. "We're soon really going to change the natural history [of myeloma] in a major way." Don Wright shows the drug pomalidomide, which he has been taking as a participant in a clinical trial. 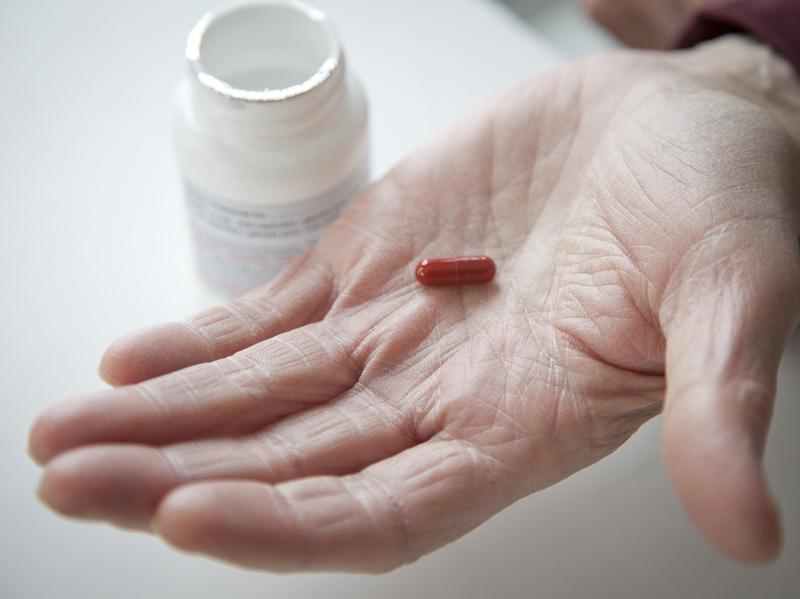 Pomalidomide was recently approved by the FDA approved for treatment of multiple myeloma. That's doctor-speak for "cure." Until specialists achieve that cure, they have an expanding bag of tricks to keep the cancer at bay. New drug combinations and more novel drugs are coming along. Durie notes that scientists presented more than 700 papers on myeloma at December's American Society of Hematology meeting. In addition to the new medicines, many patients get stem-cell transplants in an attempt to obliterate nearly all the myeloma cells. But Anderson is leading an international study to determine whether the new drug regimens are so good that risky transplants aren't needed any more. "If somebody comes and sees us in the clinic," Anderson says, "you can look them in the eye and say, 'You know, it's highly likely you're going to live a decade or more. And frankly, with the maintenance therapy, it could be quite a lot longer.' "
Marathoner Don Wright has his own definition of a cure. 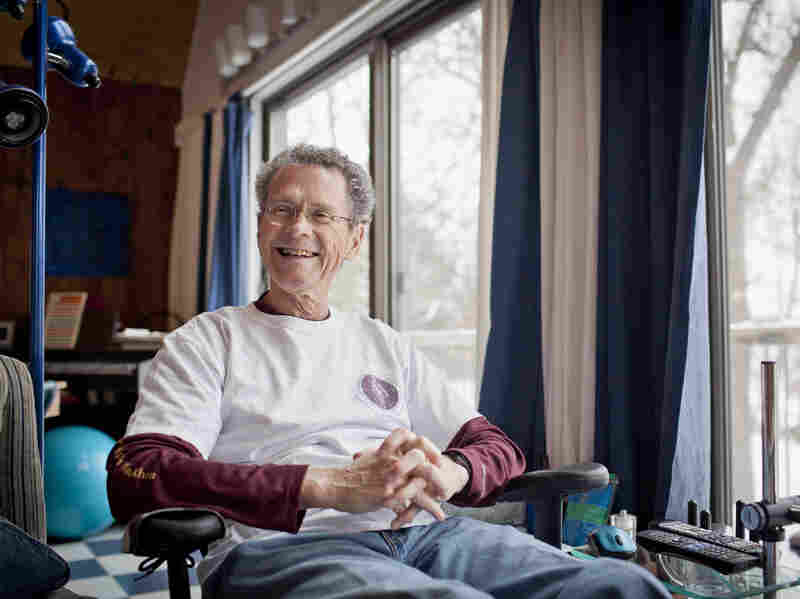 "The cure for myeloma," he says, "is to hang on long enough to die of something else. And that is precisely my hope — and my plan, actually." You might say he's in it for the long run.